Home Sweet Home . 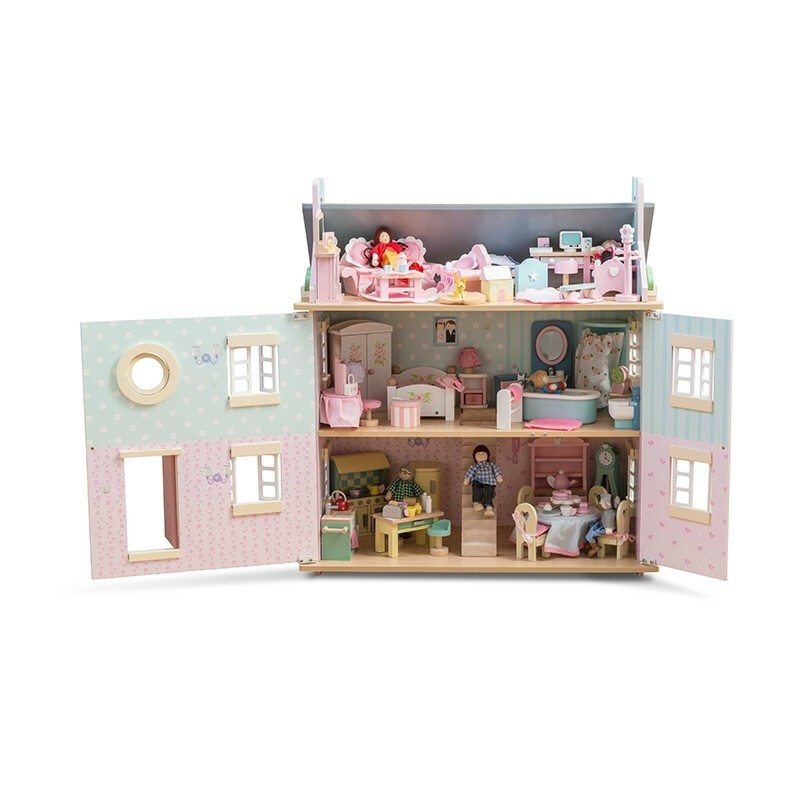 A fully painted and decorated wooden three storey lavender & lilac doll's house with stylish motif. Includes a staircase plus opening/closing windows , shutters and door.